With the warm weather arriving it means taking drinks and more along for the ride. 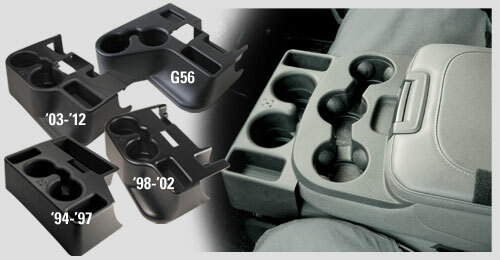 Our center console cupholders for your '94-'18 Dodge Ram are a simple solution for increasing the storage capacity of the center console and helping to avoid messy spills in the interior of your truck. Get yours today. Buy Now.